I reviewed the first edition of this guide book back in 2010 and I wasn’t especially complimentary about it, but that’s the risk you take when you send review copies out to people. I was quite surprised then to receive a request from the publisher to review their revised edition which is now available. They assured me that many of the points I raised had been addressed and would I like a fresh look? You can find it on Amazon. The book is a visual treat, printed in full colour throughout with hundreds of wonderful photos. The spiral bound format makes it easy to use, folding back completely to the open pages. The paper stock is high quality with a shiny, rain resistant finish, so you don’t have to worry about the book falling to pieces when the weather turns bad. The guide is 126 pages in length and according to my scales weighs in at about 300g and is perfectly sized for a cargo pocket or map pocket. 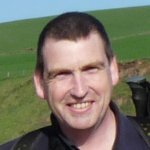 The first 40 pages or so are given over to planning and preparation notes and some background to the National Parks, Wainwright and Wildlife amongst other things – all essential items for any guide book. The remaining pages cover the route. 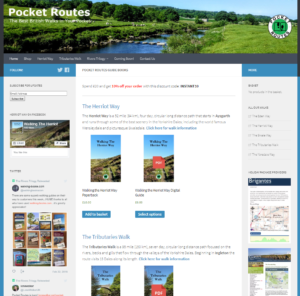 There’s a supporting website which has an interactive Google map, a file to download for your GPS device and, most interesting of all, the ability to download an exact copy of the route notes and maps section of the book, in a PDF file. This is something you’d pay extra for in a Cicerone guide and is a great value-add for this publication. You could leave the book at home and use the PDF on your phone, if you were so inclined. The route descriptions are much improved from the first edition and tricky sections like Greenup Edge now have special mentions and more detail. The addition of route alternatives in this edition is also a huge improvement. 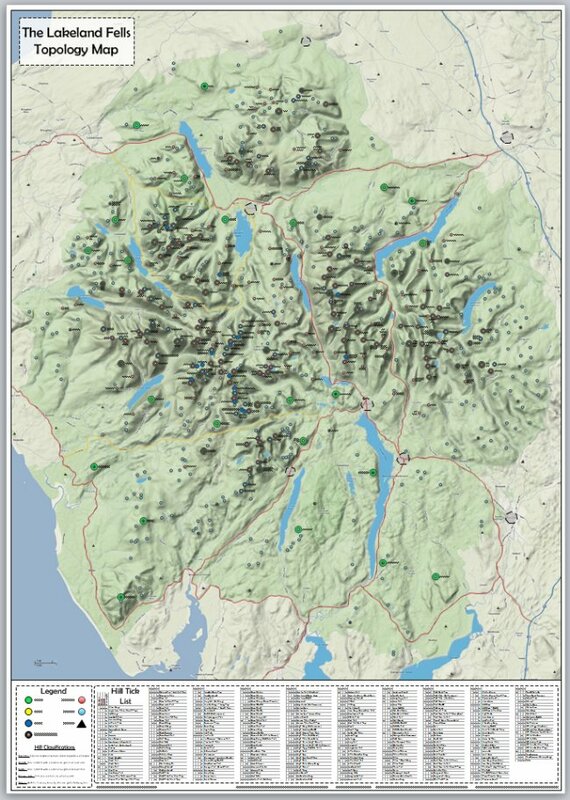 We now have notes and maps for Helm Crag and St. Sunday Crag. The omission of the Helvellyn/Striding Edge route is noted in the book and I agree with the sentiment – this is not a route for your typical C2C walker. The Keld to Reeth leg has high and low level options too, with the low level being treated as the ‘normal’ route – this seems to match the choice made by the majority of C2C walkers now, with only a small percentage of walkers using the high route. The walk is broken into 16 sections for the book and each section has a nice summary of the distance, terrain and refreshments available. There’s also a route profile showing the ups and downs and the relative position of villages along the way. I think most people are going to walk the route in less than 16 days, but this edition of the book offers routes around villages you don’t need to walk into, like Orton for example. Some of the photos have a dotted line superimposed on them, showing you the route, which I thought was a great idea, supplementing the 25 full page maps. The maps have the route shown in red with points of interest marked on them, along with alternative routes in a dotted red line. The scale isn’t ideal (1:55k) and the maps aren’t OS quality, but they add useful context to the route notes. I would still say that if you’re looking for a map-focused guide book you need Stedman’s guide, published by Trailblazer. On the downside; for the first few, and last few pages I found the spiral binding a little tight and struggled to turn a page without bending it against the spine. The only other negative I could come up with is that I am surprised that the cover photo is the same for this edition of the guide – this could make it difficult to tell first and second editions apart, especially as there is no edition number displayed on the cover, and you really need the second edition! 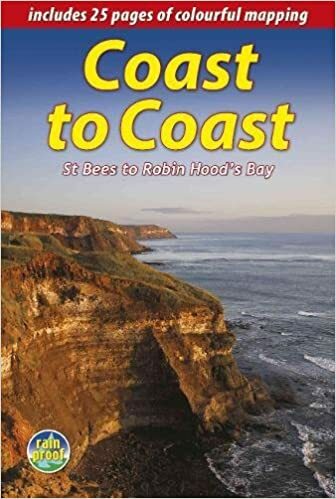 All in all, I’m really pleased to see that previous feedback has been taken on-board and I’m convinced this guide now increases the overall quality of the Coast to Coast literary canon, rather than just adding to the number of guides, as the previous version did.